We train our children. Why not our young leaders? As parents, we are obsessed with “training” our children, and with their development and growth. We obsess about every element of their transition from bawling infant to toddler, from pre to primary schooler, through to high school and college. Every step of our kids’ development is monitored, compared with others and generally over-managed. Once our beloved offspring enter the workforce, this training and learning often grinds to a halt. I was lucky enough to receive a great deal of training as a fresher, both with P&G in the UK, my first employer, and later, when I moved to J Walter Thompson’s London branch. 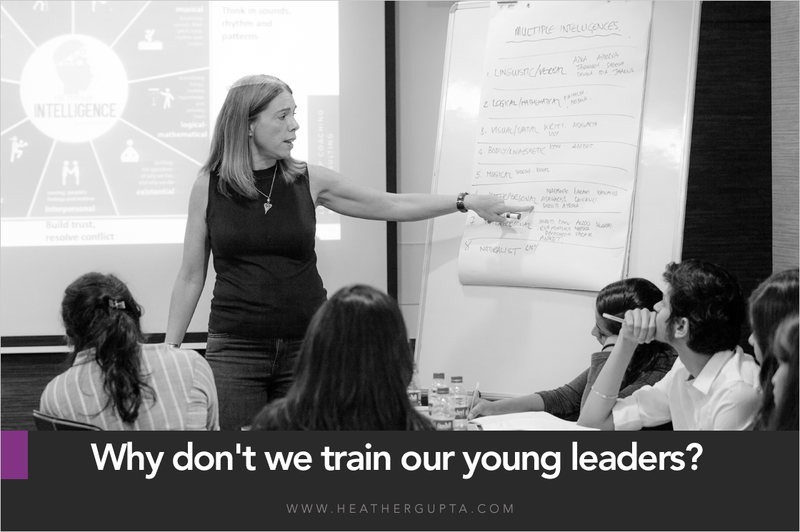 My experience of India however has revealed a different story, with the majority of companies I’ve come across preferring to keep their training budgets strictly for senior levels. I should add that I’ve mainly worked in the media and entertainment space, and that this may be different in other areas, but the contrast is a stark one. I get that training is seen as an investment, and thus usually targeted towards employees who have “earned” it, and who are holding senior positions which require them to be at their very best. But I believe that companies ignore the training needs of juniors at their peril. In the 15 years I’ve worked in India, I’ve seen young, newly promoted managers struggle, time and time again. They are promoted based on the skills they’ve demonstrated in their entry level roles – functional skills such as project management, executing tasks, minuting meetings, and so on. Suddenly they’re thrown into a brave new world which requires them to delegate, manage teams, and think strategically. Little wonder then that many of them flounder badly – they lack the training and self awareness to handle themselves, let alone other people. Good leadership training starts from the beginning, not the middle or end of the journey. It needn’t be expensive – I run leadership training programmes for groups of entry and mid level managers, in batches of up to 30, which deliver a fantastic ROI if you look at per person training cost and results . The progammes are fully customized and offer a mix of theoretical and practical training, but most critically, they aim to build great leadership capabilities and thus powerful leaders, when the learning is most fruitful. Good habits begin from the start, and it is way easier (and far less costly) to set great leadership behaviour in place at the beginning of the journey, rather than try to course correct down the line. Do be in touch if you’d like me to create a customized training programme or intervention for your budding young leaders.